Mouth ulcers or canker sores as you may call them are small lesions that can grow as big as blisters and make your mouth sore. However, there are a number of wonderful remedies for mouth ulcer treatment at home. But before we take you through our guide of effective mouth ulcer home remedies, it’s necessary for you to learn some quick facts about what causes mouth ulcers. Mouth ulcers are generally of two types – painful mouth ulcers and painless mouth ulcers. 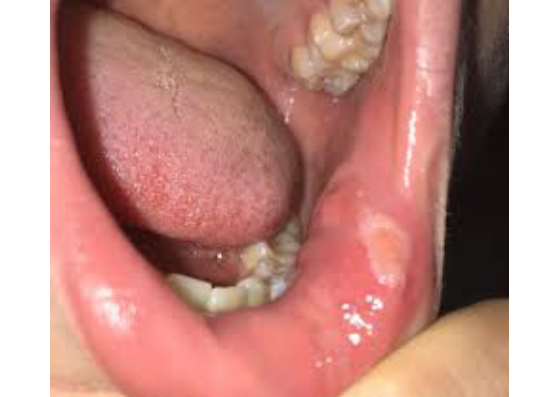 While painful mouth ulcers usually happen due to teeth bites, herpes and deficiency of vitamins like B12, it’s painless mouth ulcers that are least cared for but need more attention. All painless mouth ulcers are ignored as harmless bumps since they are not accompanied by soreness and inflammation, but they can indicate the early stages of cancer. You must seek a doctor’s advice in case of chronic mouth ulcers that do not reduce in size despite treating them at home and are not accompanied by pain or inflammation at all. Using mouthwashes that contain sodium lauryl sulfate. These are primary reasons that may lead to painful chronic mouth ulcers. A balanced diet is also a natural way to get rid of mouth ulcers. You should use aloe vera gel in such cases. 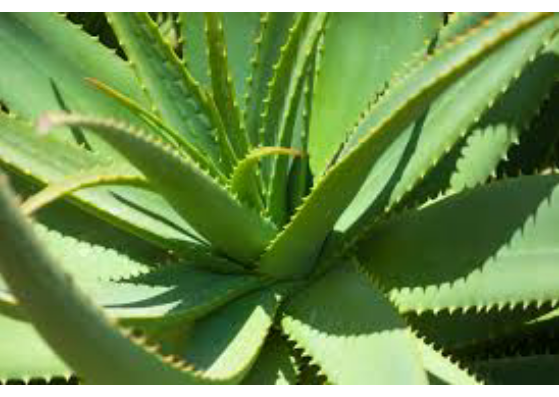 Aloe vera is quite effective in numbing pain caused by severe mouth ulcers. You can spare yourself from soreness and excessive pain if you just know the early symptoms of mouth ulcers. Have a look. Tender skin around the corner of lips is an early symptom of lip ulcer. Skin swelling under the tongue is an early symptom of mouth ulcer under the tongue. Sudden lack of appetite accompanied with mild pain around the gums is an early symptom of an oral ulcer. And now that you know the most frequent causes and early symptoms of mouth ulcers, it is time we introduce you to 9 wonderful Mouth Ulcer Home Remedies to cure mouth ulcers. Honey is one of the best and most natural ointments for chronic mouth ulcers. 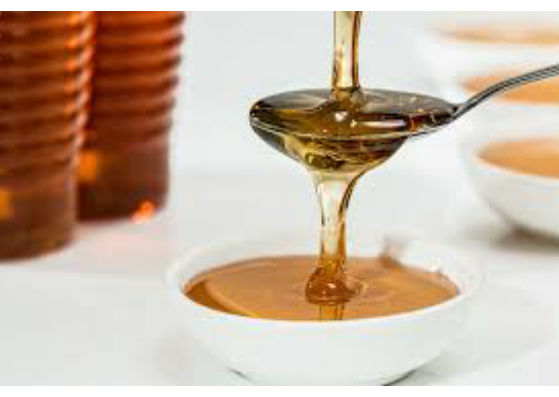 Amylase and invertase in honey are powerful healing enzymes that reduce inflammation. Wash your hands and clean your mouth with a mouthwash devoid of SLS (sodium lauryl sulfate). Dip your finger in pure honey and directly apply it on canker sores. Do not swallow honey immediately. Let it work on the mouth ulcer for at least 20 minutes. Use it as often as you like till inflammation and swelling subside. Honey is also used as an alternate sore mouth remedy caused by recurrent mouth ulcers. Additionally, you click here to know more about the benefits of honey for hair growth. Salt water is primarily rich in sodium chloride that’s a scientifically proven mineral that cures pain and inflammation. Thus, it is used as a natural medicine to cure mouth ulcers. Heat 1 cup distilled water on flame till it gets warm. Add half tsp salt in warm water and stir till it is completely dissolved. Gargle in small gulps for a few minutes and spit it. 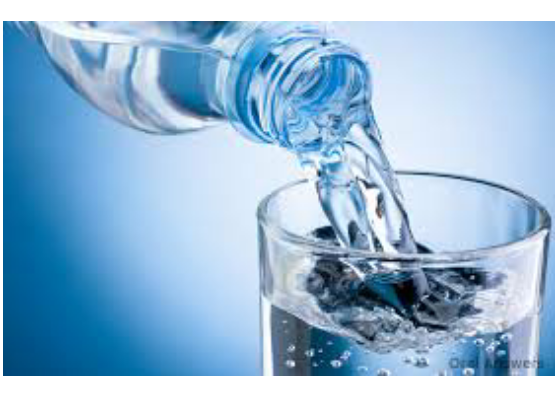 Do not rinse your mouth with plain water immediately. Use 3 times a day for 1 week to get fast relief from severe mouth ulcer pain. Scoop fresh aloe vera pulp from a stem. Mash the pulp in a mortar to get a thin gel-like consistency. Apply directly on canker sores. The best thing about aloe vera gel is that it is edible and can also cure constipation – a major reason that causes oral mouth ulcers. 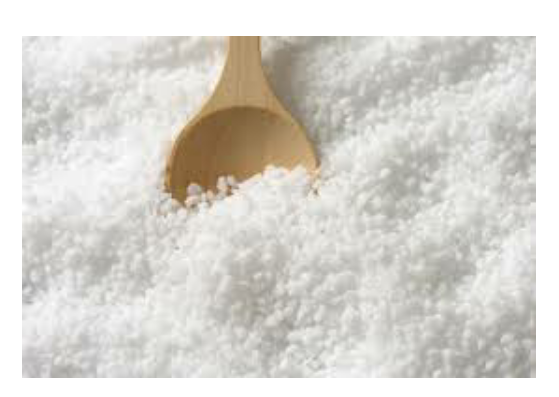 Epsom salt is an antiseptic agent with anti-inflammatory benefits. It directly works on inflamed cells and kills pain inducing bacteria. How to make and use? Take half tsp Epsom salt powder in a bowl. Add 1 tbsp hot water in the bowl and let Epsom salt dissolve properly. You can also add a few drops of honey to the mixture. Shut your mouth tight to escape any complication that can be caused by accidental swallowing. Dip a cotton ball in the solution and press it against the lip ulcer for good 10 minutes. Properly wash with cold water. Use it two times a day for 1 week to get rid of lip ulcers. Lip ulcers can be very inconvenient and inhibit basic functions like eating and even smiling. 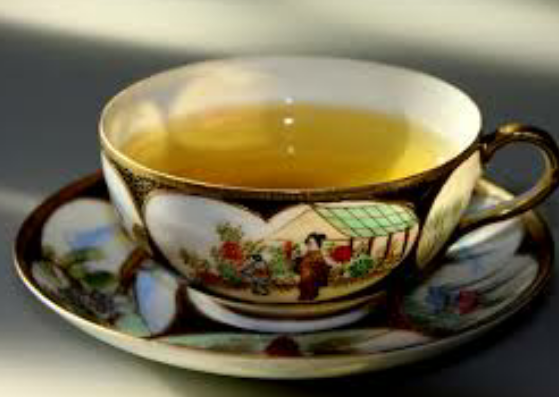 Catechins in green tea cure inflammation that not just reduces pain, but also swelling. In fact, green tea has many other benefits. Click here to know more about the benefits of green tea for health. You can refrigerate a used green tea bag for an hour and press it against your lips for 15 minutes. You can boil dried green tea leaves in water. Filter the residue from green tea. Take 1 tsp warm green tea and add a pinch of turmeric powder in it. Dip a cotton ball in the solution while it’s still warm, and press it against the lip ulcer for 10 minutes. Use twice a day for 2 weeks to completely get rid of lip ulcers. Coconut oil and clove oil for chronic lip ulcer. This simple solution can cure lip ulcers within a week. Mix half tsp warm coconut oil with ¼ tsp warm clove oil. Dip a cotton ball in the oil solution. Press it directly over the blister for 5 minutes. Apply five times a day for 1 week. 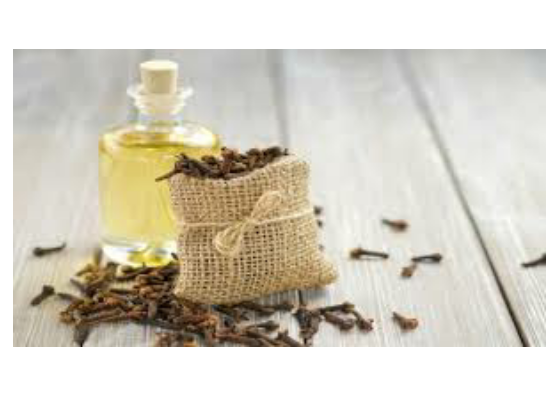 Clove oil works against ulcer-inducing bacteria and kills them. Vitamin E in coconut oil reduces swelling and inflammation. It’s always difficult for children to deal with severe pain in comparison with adults. To save your child from such trouble, we have listed 2 simple mouth ulcer home remedies that provide immediate relief from mouth ulcers in children. Ice is the best cure for mouth ulcers. It numbs the area and cuts down all the sensation of pain within a few minutes. You can buy OTC creams from the market. You can also make mouth ulcer cream naturally at home using aloe vera gel, honey, turmeric, edible peppermint oil, and SLS free toothpaste. Mix 1 tsp aloe vera gel with a pinch of turmeric, 1 tsp honey, half tsp peppermint oil, and ¼ tsp mint toothpaste. Apply ice on mouth ulcer for 1 minute and directly apply the mouth ulcer cream over the blister. Do not swallow. Rinse your mouth thoroughly with ice-cold water after 10 minutes. How to get rid of mouth ulcers overnight? Baking soda is the best cure for mouth ulcers caused by acidic foods. It will help you to get rid of painful mouth ulcers overnight. Mix 1 tsp baking soda with ½ tsp honey and cold water to make a thick paste. Apply the paste 3 times during the day and once for 30 minutes at night. 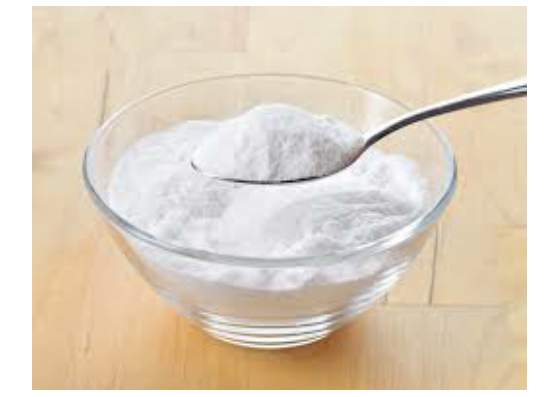 Baking soda is also beneficial in case of soreness caused by frequent mouth ulcers. But it is primarily a pain relief remedy. You should always consult a doctor because recurrent mouth ulcers can also be a symptom of some underlying undetected disease. The above listed 9 Mouth Ulcer Home Remedies are some of the best ways to treat mouth ulcers at home. Let us know which one worked the best for you in the comments section down below.